The jewel in the National Portrait Gallery crown is the joyful annual BP Portrait competition which singles out the finest portrait artists, from burgeoning talents fresh from art school to established art world heavyweights. Not only is it a curatorial Everest to climb, as the judging panel wade through thousands of entries, the show is also bursting with fascinating stories. Who is that girl in the painting? What secrets are lurking behind her eyes? 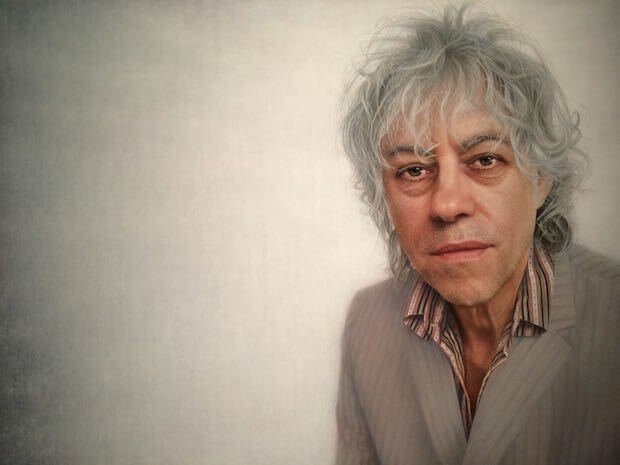 But this year it feels like a dark cloud has fallen over the NPG because not even The BoomTown Rats' frontman Bob Geldof can crack a smile. 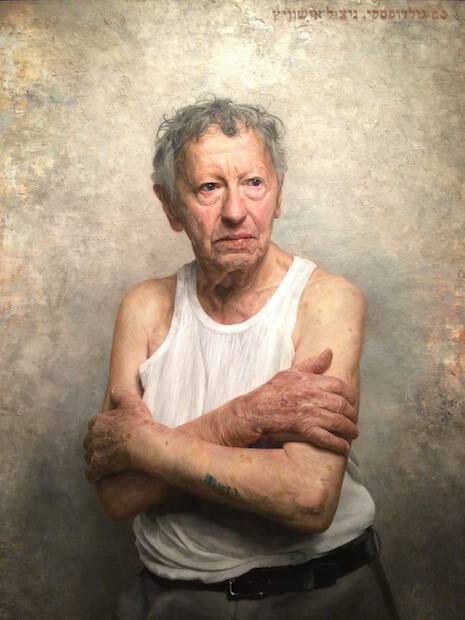 It's clear that the BP Portrait Award Exhibition 2015 has ditched some of the lighter notes for a more serious twist, with a particular focus on wizened sitters and the passing of time. Rich, sensitive portraits of elderly individuals fill the galleries and it's pretty clear why - the wrinkles of withered skin and flesh are a far more thrilling challenge to paint than that of a 25 year old. Or perhaps its something to do with the dynamic Director of the National Portrait Gallery Sandy Nairne handing over the reigns to Deputy Director Pim Baxter? Despite the sombre mist, there are some spectacular works on display and we've picked out our highlights just for you. This year's top prize was snagged by Israeli artist Matan Ben-Cnaan and his allegorical portrait inspired by the Biblical story of Jephthah. His friend and step-daughter play the roles of an Israelite judge who vows to sacrifice the first thing that greets him on his return from battle in exchange for his life, only to find his daughter rushing to welcome him home. It's an arresting image in the bright sunlight of the Jezreel Valley which manages to update this ancient story into the modern context of tumultuous Israel. Third prize winner and perhaps the most engaging of the three is Borja Buces Renard who captures his mother and brother lounging on the sofa on a Sunday evening. This intimate family moment is all the more potent as Renard's father died a few weeks after the painting was finished. We love this work for it's rich texture, enigmatic drips and powerful gazes. Want to know more about the BP Portrait Award? 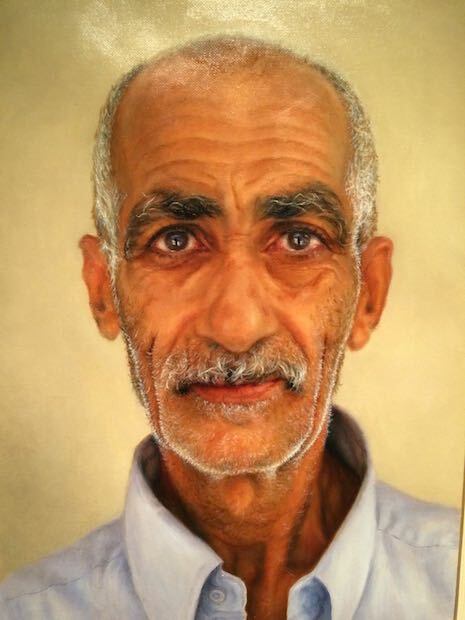 There are some splendid other contributions to the Portrait Award 2015 which deserve a mention. 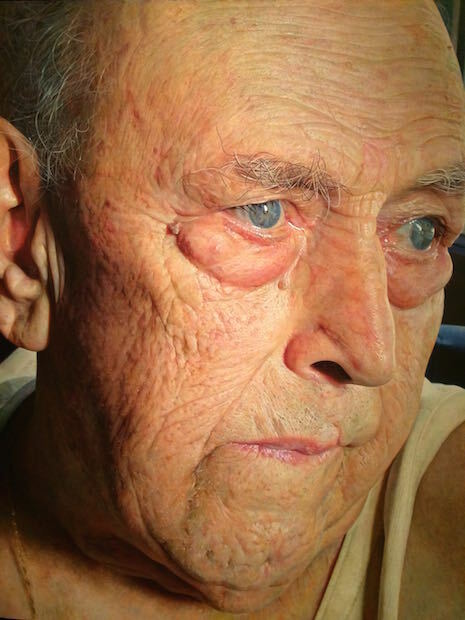 Look out for the haunting photorealist works of wizened faces by José Luis Corella of his uncle Juanito, and David Jon Kassan's image of Sam Goldofsky, a survivor of Auschwitz. Kassan caught our eye last year for his third prize entry of his mother who stares modestly at the floor. Another striking portrait of an older character which should have garnered more recognition is Irina Karkabi's painting of a Palestinian worker struggling to pay for his children's higher education in Haifa. The National Portrait Gallery exhibition 2015 isn't all about looking back and the demise of old age, you'll also find images which tackle blossoming youth. We were particularly taken with BP Travel Award winner 2015 Magali Cazo's Sauvageonne. This painting of Cazo's little sister Laurie playing in high summer feels akin to the internal turmoil and warm colour palette of Frida Kahlo's famous self-portraits. Then there is Paul P. Smith's colourful Portrait of Esta Sexton to contend with and Helen O'Sullivan-Tyrrell's immensely vulnerable image of her daughter recovering in hospital. For the other big winners at the NPG Portrait Award, look out for Travel Award Winner 2014 Edward Sutcliffe. While the paintings themselves are pretty forgettable, pay attention to the interesting story of the Compton Cricket Club in Los Angeles which helps young people escape an area polluted with poverty and crime. A far more visually arresting sight is BP Young Artist Award winner Eleana Antonaki and her austere portrait of sculptor Julie Laenkhom. The jarring simplicity of the painting alongside some of the more heady, painterly creations nearby make for an exciting juxtaposition. The delightful Portrait Award show doesn't pop with its usual vivacious spirit, but it is still a masterclass in portrait painting filled with the stories of everyday people that will fascinate and awe.